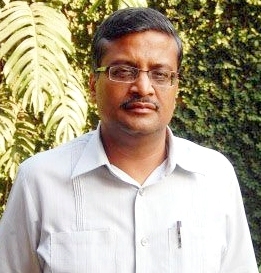 Ashok Khemka, the gutsy IAS officer of Haryana cadre has been again abruptly transferred. It seems he did not toe the line of his superiors and political ‘masters’, in some of the high profile land-allotment cases. Surely they should have known better – Ashok has a strong reputation of being a very upright officer. Ashok, an IIT –Kharagpur graduate, is probably an idealist – and idealists have a well-nurtured conscience. He must have had dreams of making a better India, for blooming his Haryana State and citizens with well-rounded overall development, through optimum utilisation of the available public funds/resources. But his dreams, and of so many others (in the IAS and State services), have been shattered – many times. Honest, performing officers are being harassed, hounded and humiliated, day in day out ! They are watched by many silent, passive officers who dare not speak up…. But, as rightly said by Ashok, passive acquiescence is worse than active connivance. And that is why Ashok also commented that ‘if bureaucracy was proactively dutiful, the 2G Scam and Coalgate could never have happened’. These arbitrary transfers are extremely demoralising for committed and upright officers who decide to swim against the tide. As per the statutory IAS [fixation of cadre strength] Regulations 2010, a minimum of two years tenure is prescribed. But the transferring authorities, ignoring these guidelines, assert that it is the prerogative of the Govt to transfer any officer. And, to rub salt in the wounds, the coterie [of officers] who toe the line of their unscrupulous seniors/political masters are not only pampered and promoted, but are well protected when caught in corruption/unethical practices. And it is not just frequent transfers that the upright have to cope with – sometimes there are even suspensions on absolutely flimsy grounds; or an arbitrary withdrawal of staff or work or basic facilities; even payment of salary is delayed. The main purpose is to teach a ‘lesson’ to anyone who dares to stand against the ‘system’ (and the system, of course, is not the laid down/prescribed rules). This menace needs to be tackled on many fronts. Swimming alone against the tide, when in the Govt, is extremely tough; it is exhausting and mind wrecking. One’s commitment to the cause, integrity, qualifications, and skills will not make one a winner – in the existing mostly value-less and unethical scenario. The foremost mantra is therefore to not fight alone, but try to associate with like-minded persons in authority. The Khemkas will find some, if they try. The media has a vital role to play, if they are really interested in helping these officers. Carrying stories, conducting interviews, organizing panel discussions, for a day or so, make a temporary dent. Media need to keep a regular check on the arbitrariness in governance, which is giving rise to corruption, scams et al. The courts also need to fast track their proceedings, to give their final decisions on cases pertaining to sustained harassment of officers. The punitive actions against the unfair seniors, if found guilty, need to be clearly recorded in the orders. And if the Government loses the case, then funds spent in defending the case need to be recovered from the salaries of the seniors – who were punitive, unfair, and did not discharge their duties as per the laid down guidelines and rules. This will send the right signals in the Administration. Alumni Associations can play a very supportive and responsible role. They need to have a Cell manned by experienced persons, to whom officers like Khemka can turn to, for advice/help. While it is extremely elevating and encouraging to be commended/chosen for awards for these acts of bravery, sustainable support to these officers, in various ways, by various organizations, is imperative. The Prime Minister’s office, the Director-IAS Academy, and the Administrative Training Institutes of the States need to have Advisory Cells, where officers like Khemka can turn to for advice/succour. The Govt needs to place Vigilance officers of an organization under the CVC, and not under the administrative control of the chief executive of the same organization in which they are serving. Of course all this is possible only if the Government has the desire and will for good governance. Persons like Khemka are doing a good job for the country, and it is heartening to learn that the President of IIT Kharagpur – Yatinder Pal Singh, has pledged support for this right cause/crusade. The media is also supportive, and hopefully many other associations and people will join in. I am also an IIT graduate who joined a local body of the capital of India in the seventies, with the fond hope of being a part of the team responsible for the proper development and upkeep of the central part of New Delhi. It was my earnest desire that the available public funds should be judiciously spent for providing the maximum facilities to citizens, and for making the city a better place. Unfortunately, my call of conscience, and my decision to not compromise on principles, turned my career into a long battle with the establishment – it lasted for almost twenty years. Representations to all the seniors, right up to the then prime-ministers, about the harassment meted out to me by my immediate superiors, were sent back by their offices to the same set of officers against whom I had made complaints – for their comments ! Then followed a string of more harassments, frequent transfers, spoiling of annual confidential reports, charge-sheets on frivolous charges, being overlooked for promotions, stoppage of salary…. Even bringing the matter to the notice of the Central Vigilance Commissioners did nor bring any succour. One of them advised me to bring the matter to the notice of the honourable court, for appropriate relief. I filed a writ petition in the Delhi High Court, and argued the case myself, against top lawyers of the country – pitted against me by my own organization ! The case was finally won by me, after twelve years of its filing; and on the express orders of the honourable Court I was installed Chief Engineer of my department, just twenty four days before my superannuation. It is a saga of a lone and unequal battle against a system that is expected to take care of its officers, but unfortunately does not. Yes, there have been a series of recognitions and awards from civil society & IIT Alumni Associations, celebrating my victory. The media also supported the cause in a positive way. But, the moot point remains: why does not the Govt, whose employees we are, take good care of committed officers – those with high integrity and proven good performance? Why do the Courts have to intervene? Why are the seniors at fault defended at huge state expense? Why are punitive actions not taken against the unfair seniors, when laid down rules clearly recommend disciplinary actions against their acts?